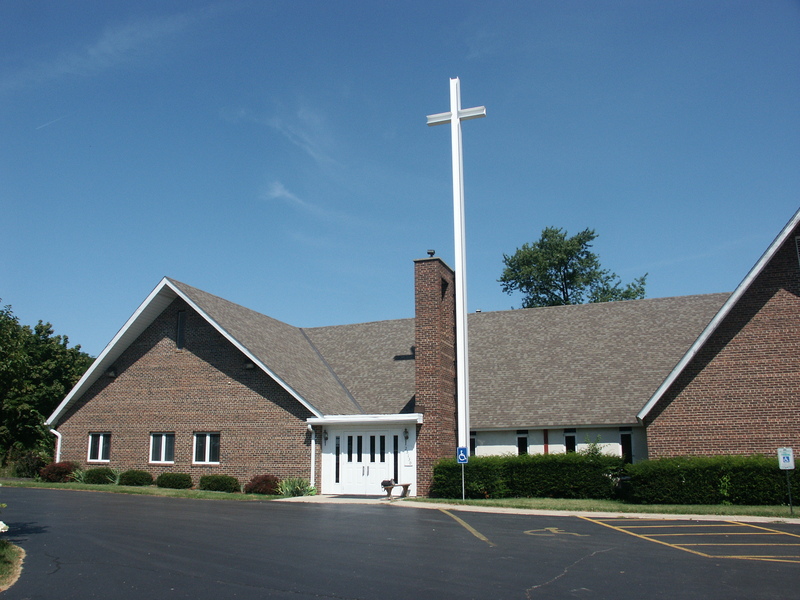 Welcome to Salem United Methodist Church! Join us if you want to make a difference, if you think beyond yourself and your needs, if you think God is bigger than anything you can think of, if you want dignity for all. Join us to discover God’s gifts for you and the world. Join us if you want to be relevant and lead and live a God-life. We are a connectional church, in that we are a part of the global church that is the United Methodist Church who has churches and mission presence all around the world. Together, we respond to God’s call to authentic discipleship and responsible stewardship as shown by Jesus Christ. As we transform ourselves, we transform the world through love, justice, mercy, compassion– where we feed the hungry, clothe the naked, free the oppressed, walk with the poor, advocate for the marginalized and invisible. This is a lifetime walk with God, ever growing and ever deepening, and ever striving to live powered by the Holy Spirit. Join us in this journey. It is an adventure worth living for and getting excited about! Worship is Sundays at 9:30 a.m. Hymns are drawn from the 1988 UM Hymnal, The Faith We Sing supplement and the Global Praise songbooks and contemporary sources. Communion is celebrated the first Sunday of every month. The Lord’s table is open to all. Seasonal Services include Christmas Eve, Ash Wednesday, Holy Week, Easter. and devotion to the Trinity. Rebecca Schwuchow, Dr. Diane Gerlach and I (all Board members of Aid Africa’s Children non-profit organization) traveled to Mvimwa Abbey in Tanzania, East Africa in 2016. We worked with the monks, who served the poor in the villages near the Abbey. We also worked at the medical clinics, explored the area and met with the elders of the village and the people to discuss their most important needs. Our group witnessed their daily struggle to gather enough water for drinking, cooking and sanitation and hygiene for their families. Water sources are very scarce especially during the long droughts. Many times the women and children had to walk miles to gather water. Aid Africa’s Children made the promise to the people to help procure a stable and ample water source and began working diligently to raise funds for this worthy and essential cause. This was the beginning of “The Water Project.” The project utilizes the collection and storage of rainwater from the two rainy seasons (both the short and long rainy season). The system has a series of gutters that are connected by pipes to large collection tanks which serve as reservoirs to store the water. 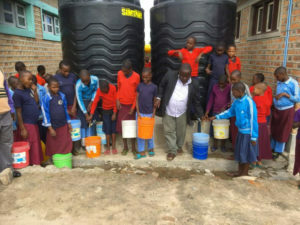 Six tanks, each holding 5,000 liters of water, have been installed at the St. Placidus Mvimwa Primary School. This school serves children of the residents of the nearby Ntemba Village and is run by the Benedictine Monks of Mvimwa Abbey. The people of Ntemba village are now able to come to the school to gather water for their families. They are rejoicing and very excited for this “gift of water”. The work is nearly completed with a few more tanks yet to be hooked up. We also met with the women of Ntemba village and asked how AAC could help them with their children and at the same time empowering these people who have a very difficult life. Thus, the start of the “Ntemba Village Women’s Chicken Co-Op Project”! They now have a chicken house and are raising over 100 chickens! The eggs from the chickens help feed their families and are also sold at their markets to make money to pay for their children’s school fees. Our group formed a close bond with these women who see us as their sisters from America! This project has been going since December of 2016; however, they still occasionally need our assistance with feed and medicine for the chickens. After giving this update at our December 23rd worship service, I had a table full of African items available for people to purchase for donation to raise funds these two projects. SUMC congregation very generously donated, and a total of $730.00 was raised!! A heartfelt thank you to all who donated for these AAC projects …You are truly making a difference in the lives of these people!! 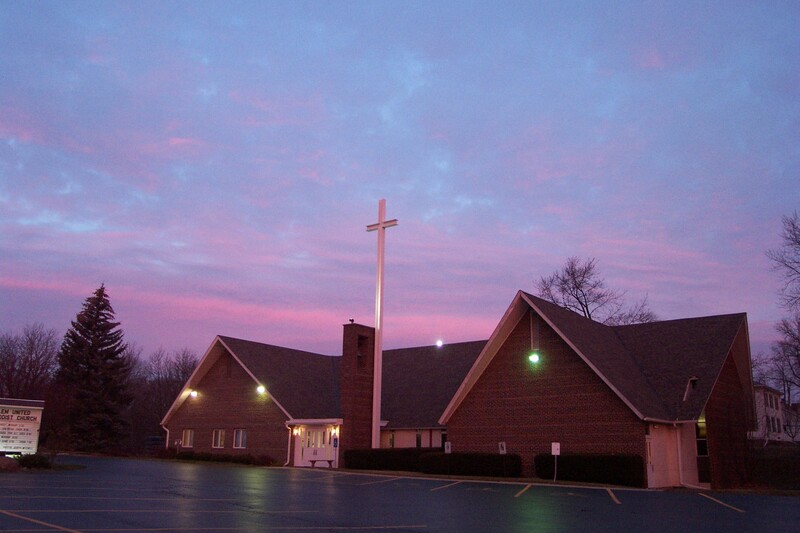 Click here for Wisconsin Conference United Methodist Church newsletter. Want to Review a Past Message? They're (mostly) all here! Pastor Keith Hewitt shares a monthly column from ``The Messenger,`` our monthly newsletter.